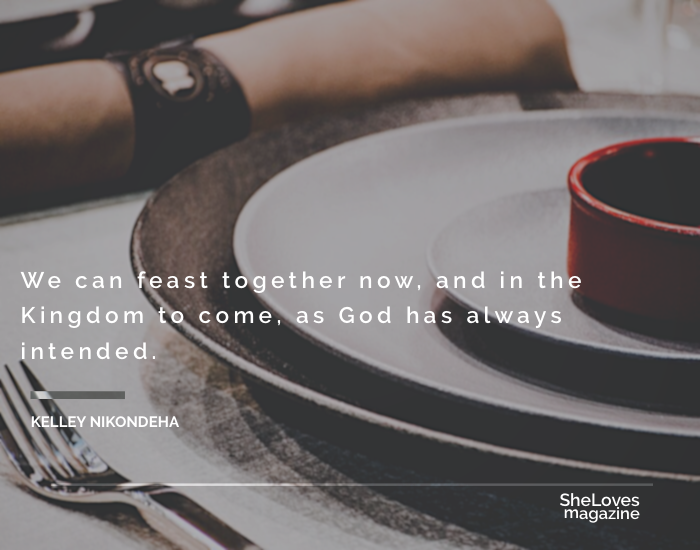 In Luke 14, we find Jesus dining at the house of a well-connected man, a ruler who kept company with the influential and affluent Pharisees. Jesus tells them a parable about seating arrangements at a dinner party, one about the host making evaluations on who gets to sit at the seat of honor. It seems James and John, sons of Thunder, weren’t the only ones to wrestle with the question of who is greater and who gets the seat of honor. The culture was one shaped by hierarchy and knowing your position vis-a-vis others. Humility, Jesus says, is the best strategy in such social situations. Jesus tells the host that he’s better off inviting the poor with no strings attached. Better to give a feast, invite those who cannot ever repay you, and allow God to repay you at the resurrection of the just. Interesting advice to give to the well-situated man hosting him. What might happen if the man took the advice of Jesus next time he hosted a dinner party? He would need to plan a meal without considering whom he owed or who owed him. Instead, he could be free to welcome people to his table for the sheer delight of their company. He might even be pushed to learn the names of the poor people at his gate, the beggars he passes daily, and the woman he always sees limping her way to the synagogue each Sabbath. Read the rest over at SheLoves Magazine today!